SteemChurch / Leaving Footprints in Health!! Dear Readers/ Parishioners and Friends of SteemChurch and the Steem ecosystem! We have started a social work campaign, with the aim of leaving a trace of love in humanity! On this occasion, we will support the Health Sector! In the course of time, SteemChurch has become crowds, with parishes in Venezuela, Nigeria and Ganha. It also has a farm that encourages productive and agricultural awareness, and an irrefutable commitment to preach the good news of the Gospel. Each of these parishes, are working because we believe that the life of man, woman, family, were created by God to live a healthy life, in love and harmony, and as a final reward: The eternal life that Jesus Christ gave us. That is why our struggle is against all forms of evil that want to cause unhappiness in people, @sirknight entitled it: A crusade for freedom. We are all steemchurch and we are committed to this motto. God has given us many deacons, servants who passionately serve the Church of God in all the earth, although many of them are great professionals, who practice Medicine, Engineering, Professors, Administrators, Lawyers, etc., nevertheless, our title honorable in steemchurch is Deacon! Is there a profession that is bigger than serving? We are serving in Agriculture, Education and Health! We want to leave a mark of love in Health, @ammarn as a doctor has informed us of the chronicles that patients live in the outpatient clinics of Venezuela and this has caused us sadness! We are witnesses, of what it costs to obtain a medicine in this Country. Sister @lorennys had the brilliant idea of ​​making the First Aid Boutiques and we do not hesitate to support this great initiative. 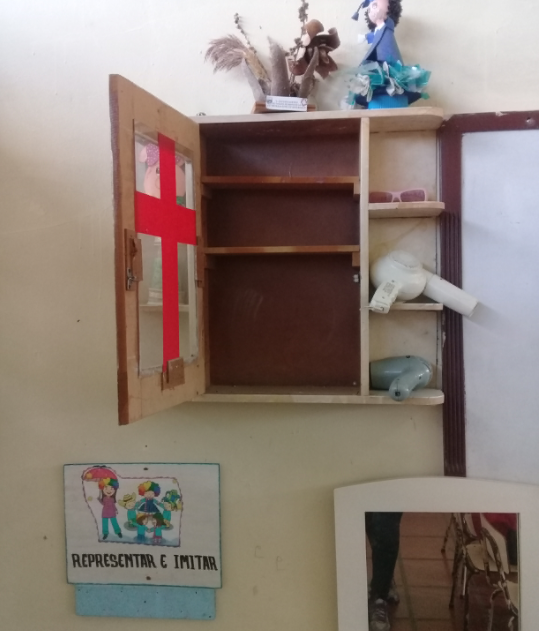 Some schools that we have attended, we observe the great need for a First Aid Boutique, they do not even have an antiseptic alcohol to clean the wounds, which children usually do involuntarily. 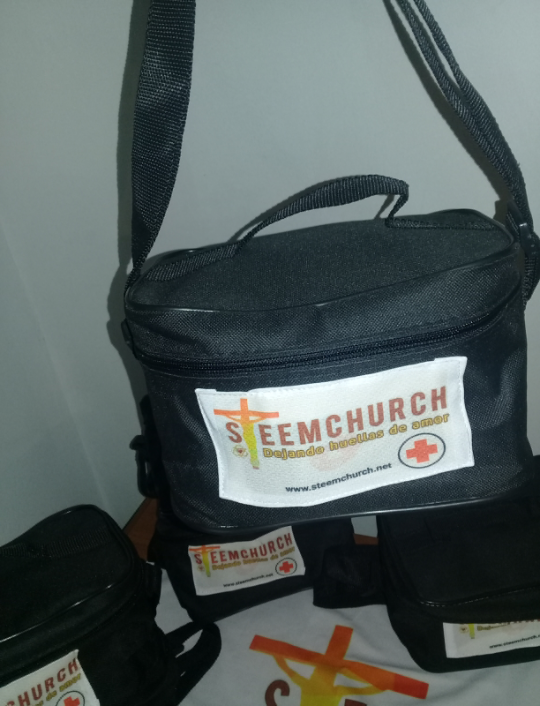 Therefore, our plan now is to mitigate a little the impact that inflation has caused and, on behalf of Steemchurch, deliver a Boutique with first aid medications! 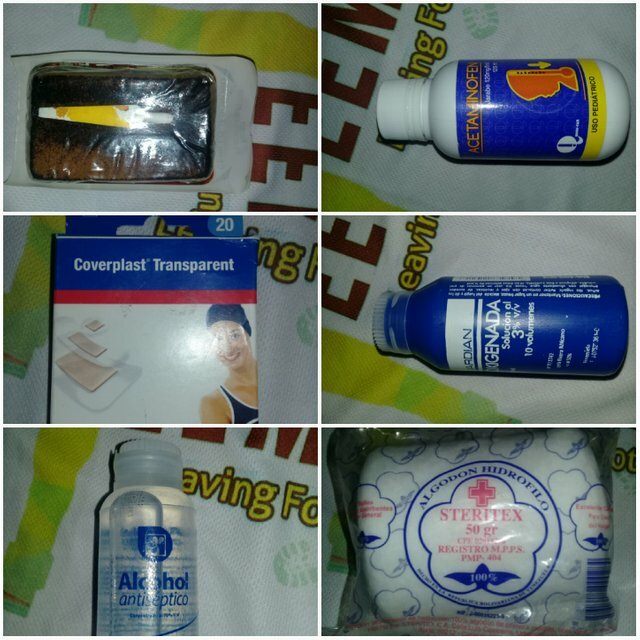 We have some medications and supplies for typical use in first aid, but we really need many more! Thanks to the SBDs that SteemChurch has obtained in their wallet, it has served in a great way, to go step by step, managing to comply with noble causes. Thanks to @sirknight and @sniffnscurry, to the brothers who send offerings, we can make a great impact on the world with the love of God in our hearts! 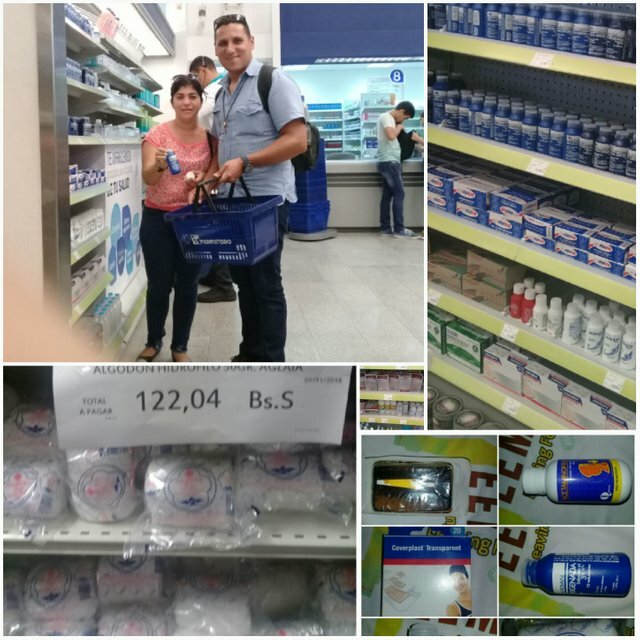 When we finish buying the supplies, we will be updating. Medical deacons are eager to go visit some schools and examine the children for free! The whole team is in the expectation of what is happening in the Church of Steem. Do not forget! If someone asks you what is SteemChurch, say with pride that it is a Church that wants to leave a mark with the love of God! A normal day I went to my job as some know (I am a teacher of initial education) after having time there appeared one of my companions brought with a small girl burning in fever and then I prayed for the girl and we began to place wipes of water in her front while her parents came for her to school. Unfortunately in the institution we do not even have a thermometer, this alert me greatly because we know how dangerous a fever that is not treated soon. I arrived home and I thought something had to be done because it is not only in that school the majority are like that. Thank God there was the idea of this small first aid bag to help. Waooo this is really wonderful, Steemchurch has great leaders @sirknight and @emiliocabrera who have dedicated themselves meticulously to know the need of the less favored and advance in this crusade for freedom. As a bionalist I have witnessed the great need that exists in my country at the level of health, hospitals, school, care home, orphanages among many others. Go ahead sure that God will help you Blessings. Serving others and offering a helping hand in comforting. Thank you for the mention brother, we are happy when we discover the will of God and we practice it, there is no greater satisfaction than working for what you love. I am sure that this bad moment that crosses the Country will be overcome by the unity of the Church and the work of the Christians. Blessings for SteemChurch and for Deacons! Well said Ammarn, thanks for your support! This was one of the ideas that @lorennys told me when I introduce myself to Steemchurch and taught me that we should focus on working to help others do what they can because the crusade of freedom became real fighting evil and any way it can take as taught by @sirknight. It is a great initiative, small actions make big differences, everything is possible when two or three agree. God bless the team more! In the company where I work I had the opportunity to do some social work and the places where we go are really sad to see the shortages in which our country has submerged food, education, health, transportation, security, everything needs to be restored. I am sure that with these activities they are leaving a trace of love in every place where they go. Wow! This is beautiful! Continue in that pace my CEO. He that has begun a good work is faithful to complete it. 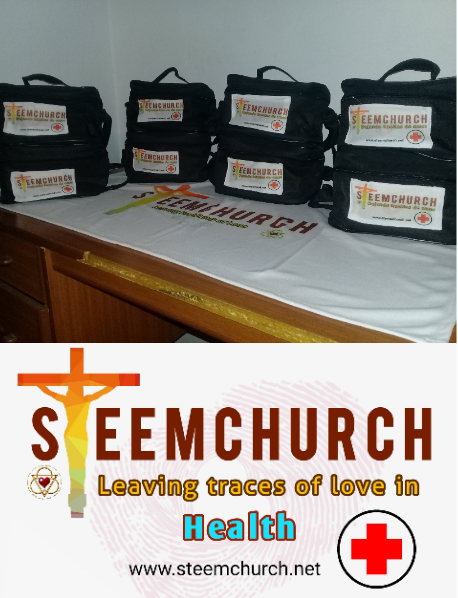 Steemchurch anointed to touch lives with the love of Jesus Christ. "Lord please send more aids to willing @steemchurch to do great exploits". Amen. It is a great idea, God will supply according to his wealth in Glory. Acts of charity are supported by the Kingdom of God. Let's keep leaving traces! Congratulations, @lorennys and @emiliocabrera because in every footprint of love they are providing help to those who need it most, especially in Venezuela, our beautiful country that is going through a disastrous economic situation. This initiative of the first aid kits can be useful in any institution that lives with a community of people (children, adolescents, men and women). With all my heart I will be accompanying him in this crusade of love and freedom of @steemchuch. This beginning looks little, yet, I see @Steemchurch sending medical to Nations and Continents. God bless our dear CEO - @Emiliocabrera.